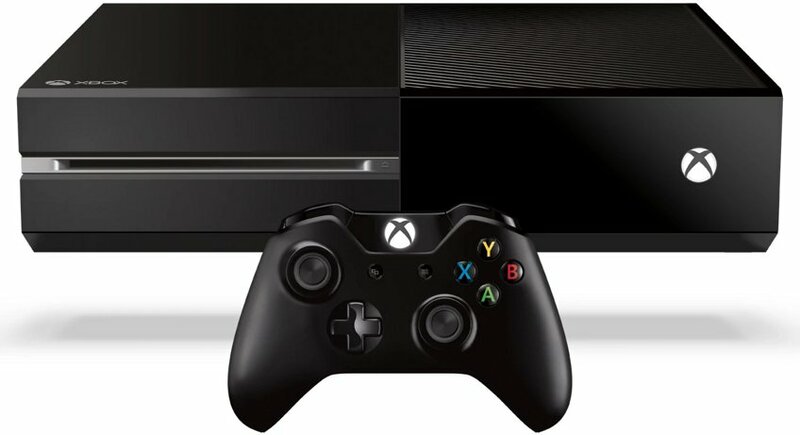 So you’ve read our console buyers guide and on the back of it, you decided to buy an Xbox One. If that sounds like you then you’re going to need some games to play on the console. It’s the perfect time to console shopping, with Black Friday and Cyber Monday on the horizon, prices will drop and you fill your holidays with plenty of gaming time. The Xbox One has plenty of games for you to choose from, but some are much better than others and definitely deserve your time because of that. Here we’re going to break down a list of the best Xbox One games you can play right now. For this list, I’m trying to stick to exclusive titles so you can play the games exactly how they were meant to be played. When you think of Gears of War, you think Xbox. That’s because this game series has been the stalwart of the console since the early days. With this latest edition in the series, Gear of War 4, things have certainly stepped up a notch or two. If you’re not familiar with the series you may get a little confused during some parts of the story, but fear not, there’s plenty else to be enjoyed in this game. Gears of War practically invented the cover and shoot system and as a result has become famous for it. The reason behind that is that Gears of War have perfected this mechanic. For fans of the series, you’ll love every part of it. Well, maybe not the invasive microtransactions, but you can look past that a little. Players can team up with buddies and engage in the campaign, following the story, or engage in the excellent horde mode, which is as epic as it sounds. The visuals have been improved for this game as well and whilst they’re still not perfect, they’re not going to spoil the experience. Gears of War 4 is something all Xbox owners should look out for during the Black Friday sales. How could we not include a Forza game on this list? The one we’ve chosen to include is the best one in series yet and is any petrol heads dream. Even if you’re not a car mechanic there is still plenty to be enjoyed in this perfect racing experience. From everything like high-end Ferraris to huge hulk 4x4 cars, Forza has everything you’ve always wanted to drive. The near photo-realistic graphics make your travels even more impressive as you race around Australia. Even simply driving around the streets and taking in the sights is a treat. There are a wide range and variety of tasks on offer in Forza Horizon 3 which only adds to the value you get from this game. It’s almost an endless supply of activates that could keep you going well into 2018. In Forza Horizon 3 you play how you want and take on the challenges you want to. If there is one way to spend your time racing around the streets of Australia (legally) during the holidays it’s with Forza Horizon 3. Without a doubt, this is the hardest and most unforgiving game I have played in a very long time, but that’s part of Cuphead’s charm. This game has taken the industry by storm and there are many reasons for that. The gameplay in Cuphead is solid; the graphics are beautiful and crazy in their own way. It almost looks like the best and craziest 50s Disney cartoon you could ever want. Cuphead will give you hand cramps, will make you shout and swear at your TV and have you questioning what ‘fair’ really means, but you’ll still keep coming back. This is a game that you hate and love all at the same time. It brings new meaning to word challenging and all of this anger and frustration can be shared with a friend, so you’re not alone in your misery. Despite its pure difficulty when you do succeed, there’s no other feeling like it and this is why I loved Cuphead. Cuphead is one of the breakout stars of 2017 and you will be kicking yourself if you don’t pick this game up in the Black Friday sale. The endless charm of Ori and the Blind Forest is only part of its appeal. This may not be everyone’s cup of tea or the first on their Xbox exclusive list, but it’s made our list because it really is one of the finest games of its kind. Underneath the gorgeous art style, Ori and the Blind Forest is primarily a side-scrolling puzzle game. The world around you is so infectious and breaths life at every possibility. The two lead characters in Ori and Seinn are unforgettable and as you journey with them you see exactly why. The combination of the two provides a captivating narrative that only engages you further. I don’t want to give too much away from this game as I feel like it’s best to experience it without knowing much about it. If you can find this game in the Black Friday sales it’s one i’d definitely recommend you try. I’m sure there would be a lot of complaints if I didn’t include at least one Halo game on our list of the best Xbox games. Halo 5: Guardians is that game. Although the FPS industry has changed much since the first Halo game the series has been trying its best to reclaim the title of best FPS but has so far fallen a little short. Halo 5: Guardians makes a good stab at that claim. Even with the misleading marketing campaign the game still turned out great. Halo is Halo after all and the opportunity to venture into this world once again is almost always a welcomed one. The game does have a few negatives like the removal of the ever-present split screen mode in the campaign, but it still offers really solid mechanics and a great story to follow. Halo should be in every Xbox owners library so if you’re yet to add it to yours, perhaps you will have this chance this Black Friday. Constantly threatening to write a book, but always with a story to tell. Tom has a typical northern English soul. He may sound as mundane as Jon Snow, but at least he tries to articulate. Lover of video games, comics, geek pop culture and wishing he could play Dungeons & Dragons. Subscribe to get great gaming deals, and site news! No spam, we pinky swear! You can unsubscribe at any time and we'll never sell or share your information. Copyright (c) 2017, BeepWee.com. All rights reserved.